The head of the 193-nation body noted that autism prevalence figures are growing, one in 68 people, or about one per cent of the world's population. The vast majority of those affected are children. “Today we also celebrate the unique talents of persons with autism,” he said, emphasizing that each must be treated a valued member of society and is thus entitled to equal opportunity in all respects, including education, employment, participation in social, political and cultural life and access to information. Member States have emphasized the need to mainstream disability in the global development agenda. This means that the needs and rights of persons with disabilities, including autism, need to be taken fully into account, on an equal footing with other citizens, in the design and implementation of all policies and programmes. In adopting the Sustainable Development Goals (SDGs)in September 2015, the Assembly pledged that no one would be left behind. “Let's make that a reality by building providing an inclusive society and accessible communities where people with autism and other disabilities can thrive, enjoy equal opportunity and thus be empowered,” he said. 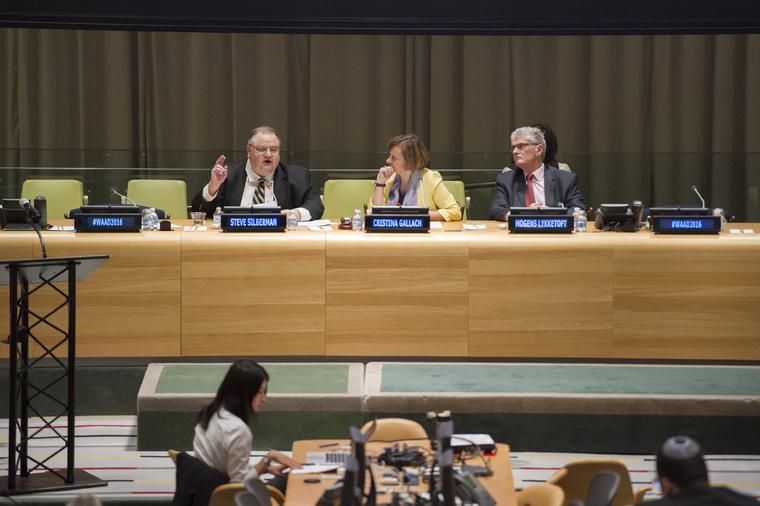 Titled Autism and the 2030 Agenda: Inclusion and Neurodiversity, the event also featured a keynote speech by Steve Silberman, author of Neuro Tribes: The Legacy of Autism and the Future of Neurodiversity. In a message on the Day, UN Secretary-General Ban Ki-moon said that autism is not well-understood in many countries, and too many societies shun people with autism. “This is a violation of human rights and a waste of human potential,” he said. Earlier this year, he engaged in a dialogue with a young man with autism at United Nations Headquarters. His innovative approach to the implementation of the SDGs was impressive, he said. The UN is proud to champion the autism awareness movement. The rights, perspectives and well-being of people with autism, and all persons with disabilities, are integral to the 2030 Agenda and its commitment to leave no one behind. Noting that this year marks the 10th anniversary of the UN Convention on the Rights of Persons with Disabilities, he called on societies to invest more funds in enabling young persons with autism to be part of their generation's historic push for progress.